Roman Catholic Women Priests are at the forefront of a model of service that offers Catholics a renewed priestly ministry in vibrant grassroots communities, where all are equal and all are welcome. The mission of the international RCWP movement is to prepare, ordain in apostolic succession and support primarily women who are called to the priesthood in an inclusive church. In the Roman Catholic Womenpriest movement there are two groups in the United States, RCWP-USA (Roman Catholic Womenpriests-USA) and ARCWP (Association of Roman Catholic Women Priests) each with its own administrative structure. Both communicate with each other and share resources, and each has a different approach to governance and program preparation while both work for social justice especially for women and children. The RCWP international movement also includes members in Europe, Canada, South America, South Africa and recently in Taiwan. Roman Catholic Women Priests believe that women and men are created equal by God and can equally represent Christ in ministry. The ordinations of Roman Catholic Womenpriests are valid because of our apostolic succession within the Roman Catholic Church. The principal consecrating Roman Catholic male bishops who ordained our first women bishops are bishops with apostolic succession within the Roman Catholic Church. Therefore, our bishops validly ordain deacons, priests and bishops. Consequently, all qualified candidates, including baptized ministers and priests from other Christian traditions, who are presented to our bishops for ordination are ordained by the laying on of hands in apostolic succession in the Roman Catholic Church. Maria T. Annoni, PhD, is a native of Duluth, MN. She grew up on the western shores of Lake Superior, and the sounds of the lake still call her home. Schooled in the Benedictine tradition from an early age, Maria strives to live by its principles. An accomplished musician, Maria began playing the organ at mass by the time she was 10 years old. Maria thrived on liturgy and liturgical music at the time when Vatican II was revolutionizing both, and she has been a leader in training liturgical musicians, parishioners, and priests, in the implementation of the philosophy and tenets of Vatican II. She holds a Bachelor of Arts in Music and Education; MA and PhD in Historical Music Theory from The Ohio State University, and recently completed her MA in Scripture from St. John’s University in Collegeville in preparation for ordination to the diaconate and priesthood. She looks forward to serving The Spirit of Christ Catholic Community in Grand Rapids, MN. Barabara Beadles holds a Master of Arts (Religious Studies) degree from The Catholic University of America in Washington, DC and a Doctor of Ministry degree from Global University. She has been involved in religious education since 1968, working in parochial schools in Kentucky and Maryland. As a pastoral associate in Virginia and New Jersey in the 1980s, she worked with adults in RCIA education and adults with children being baptized and making first communion.After completing initial training as a Hospice volunteer, Barbara recently took a one year course entitled “Companioning the Dying: Opening Fully to Living.” Her particular interest is ministry with marginalized Catholics and as a Hospice volunteer. Barbara resides in Silver Spring, MD with her husband Jim. Barbara may be reached at jbead92536@aol.com. Kathleen McShane Bean has been listening to the call of God for over 30 years. She is delighted to finally be able to answer "yes". Kathy has worked as an RN in Emergency room and intensive care. She has been married for more than 45 years to Vic, enjoying living in New Mexico and Alaska in their younger years. They have two grown daughters and six grandchildren. Kathy completed the lay pastoral program at the Athenaeum Of Ohio, earned a unit of CPE, and continued her studies completing MATS at United Theological seminary in Dayton. She has continued her hands on healing by learning Reiki. Kathy has been thrilled to find The Living Beatitudes Community of Dayton who's weekly services celebrate the freedom of the people of God and the dignity of people of all sexual orientations, genders, races and creeds. Kathy lives in Kettering, Ohio and may be contacted at ktmbean@yahoo.com. Kathleen Bellefeuille-Rice has felt called to the priesthood since she was seven years old. She received her early formation in radical Catholicism from being a Catholic Worker, from working in her large vegetable garden, and from raising her two children. Years of training as a catechist, specializing in Catechesis of the Good Shepherd, strengthened her love of scripture, liturgy, sacraments, and celebration. In 2013 she received her Masters in Religious Education from Graduate Theological Foundation. Currently, she is with Holy Wisdom Inclusive Catholic Community in Olympia, WA. She spends her free time doing foot care with the homeless, cooking dinners at a local soup kitchen, and hanging out with her husband Dave. Corene Besetzny "My journey toward priesthood has been life-long. After working in the Peace Corps in Liberia, West Africa, I completed graduate programs in teaching and anthropology. While raising my family of three adopted children, two from Korea and one from Honduras, I was active in parish ministry for many years in the areas of marriage preparation, family life, RCIA and social justice. During this time I was an active Lay Franciscan. More recently I received a Masters of Arts in Women’s Studies: Religion, Theology, and Ministry from United Theological Seminary in New Brighton, MN. I completed a Spiritual Direction Preparation Program at the Franciscan Spirituality Center in La Crosse, WI. Currently, I preside at worship at the Fairview Seminary Home in Red Wing, MN. I also assist at the House Masses in my community. I have been widowed for two years and now work at the Red Wing Health Center where I minister to the elderly. On April 15, 2012 I was ordained a Roman Catholic woman deacon in Indianapolis, IN." Ruth Broeski takes the Spirit seriously. As often happens when the Breath of God is in control, this has led to many different turns on the path of her life. When young, Ruth committed for a time to convent life in Los Angeles. Later, motivated by an abiding desire to serve people, she studied psychology and theology, worked as a high school teacher, as a deputy sheriff, and sojourned for a few years on an island in Washington state. Most recently, Ruth received an MA in spirituality, which included study of everything from Christian mystics to mandalas to new consciousness. Ruth lives in Portland, Oregon, where she is a spiritual director. Donna E Burke I felt the call at the age of 7 when I told my mother that I wanted to be a priest. A cradle catholic, I attended both a Catholic grammar school and Catholic High school. I am a recent graduate of Catholic Distance University where I attained my MA of Theology in Scriptural Studies. I am currently a student at Andover Newton Theological School where I hope to get my MDIV in 2019. My goal is to further my education and get my DMIN after completion of the MDIV program at ANTS. I am hoping to work in Hospice once I am ordained and finished with school. I would like to work with both the patients and the family members of those who are nearing end of life. I grew up in Fall River, Ma (home of Lizzie Borden) and have one brother and 3 fantastic nephews. I currently reside in Amherst, NH with my partner, Sue and our wonderful little puppy Malik (May – Lick) who is a 120 pound long haired German shepherd. Jacqueline Mary Clarys For Jackie, a lifetime interest in spirituality/religion and her career in music together formed a natural entryway to the formal study of theology. Subsequently, through the nurture and support from members of her RCWP-led church community, the Living Water Inclusive Catholic Community of central Maryland, she was able to recognize her later-life call to ordained ministry. Born to a large, caring, and faithful Roman Catholic family where her spirituality was given its foundation, Jackie’s musical gifts were fostered early on by her parents, teachers, and through private piano lessons with the Benedictine Sisters (OSB). Her professional life in music has included a vocal performance career of nearly 25 years in the U.S. Army; teaching; and currently, music ministry for liturgies, weddings, funerals, and patriotic/veteran’s events. Jackie is a certified teacher of Godly Play, and serves as a Chaplain Intern through the Clinical Pastoral Education (CPE) program, Spiritual Care Department, Johns Hopkins Bayview Medical Center, Baltimore, Maryland. She holds a Bachelor of Science in Vocal Music Education from the University of Minnesota, Moorhead; a Master of Music in Vocal Performance and Literature from Eastman School of Music in Rochester, New York; and a Master of Arts in Theology from the Ecumenical Institute of Theology, St. Mary’s Seminary and University in Baltimore, Maryland. She and her husband, Daniel M. Hopkins, make their home in Catonsville, Maryland, where their son, daughter-in-law, and two grandchildren live nearby. Judy Dahl Since she was eight years old, Judy knew she was called to the priesthood. After living as a Benedictine for a few years at St. Scholastica Monastery, she was lead in the mid seventies to serve in ministry with MCC (Metropolitan Community Churches.) She was ordained in 1980 and served as Associate Pastor, Senior Pastor at two churches, as the District Coordinator for the Southwest Region of MCC and as the Director of MCC's Global Program, until her retirement from MCC ministry in 2005. She holds an M.Div. from The Iliff School of Theology, Denver, and a D. Min. From San Fransisco Theological Seminary. She has two grown children, who live at her hearts center, and currently lives in Port Townsend, Washington with her partner Carol Wood. Judy believes the Spirit has led her to RCWP as a deep blessing to complete the circle of her call to the priesthood. She is passionate about serving within this movement to bring mutuality and justice within the Catholic Church and into the full realm of God's creation. Sandra DeMaster is the facilitator of “Bridges,” an interdenominational ministry with the mission of providing opportunities for women and men to deepen their spirituality through spiritual direction, study groups and directed retreat experiences. Although she has earned an M.Div. degree and served for several years as a pastoral associate for two priestless parishes, Sandra counts as her most valuable preparation for pastoral ministry her 40 years of service as a Minister of Domestic Affairs. She lives with her husband in McMinnville, OR on a country acre where she delights in welcoming friends old and new, her six grown children and a growing brood of grandchildren. Her leadership of “Bridges” is inspired and renewed by engagement with gardening, reading, writing and contemplative prayer. To view more pictures of her deacon ordination please click on Sandra’s Deaconate ordination. Penny Donovan first experienced her call to priesthood as a young girl growing up in the San Francisco Bay Area. But, as with so many, she soon learned that the Vatican frowned upon some of God’s choices! 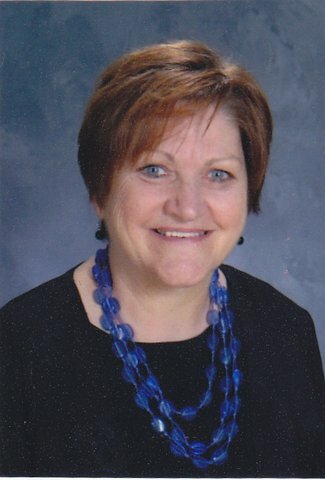 She is a previous member of the Sisters of Notre Dame de Namur, was a teacher, assistant principal and principal. She loves science and was worked for the National Aeronautics and Space Administration to develop "cutting edge" science curriculum by working alongside NASA scientists. While this is heady and exciting, it also served to deepen my prayer, and my appreciation of the incredible creativity of God. She is currently an associate member of a Dominican Community and says that “Discovering RCWP in 2012, has been an unbelievable new journey, I relish the challenges and blessings as the path opens before me." Alexandra Dyer Ms. Dyer’s professional experience has centered on human services and social justice issues. She is a passionate advocate for animals, working to eradicate abuse and suffering, and endorses theological perspectives which require our compassionate stewardship of all creation. Ms. Dyer received her B.A. from Barnard College, Columbia University, her Master of Divinity from Union Theological Seminary, and her MBA from the Columbia University Graduate School of Business. She is currently enrolled in a Certificate Program in Spiritual Direction at The General Theological Seminary. Ms. Dyer’s pastoral focus is on those who have been marginalized and alienated from the institutional Church, while maintaining reverence for and being rooted in Roman Catholic traditions and rituals, and practicing full Gospel inclusivity. Ms. Dyer is committed to the development of sacramental, liturgical, and ritual expressions of the sacred in a multitude of life events, drawing from myriad traditions, and is a NYC registered Wedding Officiant. She serves as a priest in the St. Praxedis RCC. Christine Fahrenbach Educated at the University of Notre Dame, the Jesuit School of Theology Berkeley and the California School of Professional Psychology, Christine Fahrenbach has participated in ministry for over 30 years, and is a practicing professional psychologist. She has worked as a campus minister, high school religious studies teacher, liturgist, liturgical musician and spiritual director. Chris provides leadership for a house church in Santa Cruz, CA and participates in social justice and homeless ministry through a local parish. She continues to weave together the common threads of psychology, theology and spirituality in all aspects of her work. Chris and her life partner Helen Mayer, were married in 2007 and make their home in Aptos CA. Teresa Gregory “My life-long passion is to serve. This was instilled in me by the example of my parents. Growing up, our table and home were never too crowded that one or more could not be added. Our doors and hearts were always open to the needs of others. I am happy to continue this way of life in central Idaho.” Teresa ministered in the Roman Catholic Church as a lay person for 30 years. She received her Masters of Divinity from Seattle University in 1991 and has served in both the Archdiocese of Seattle and the Diocese of Boise. From 2002 to 2011 she served as a Parish Life Director for a parish in the Boise Diocese. After many years of discernment she followed her heart and decided to pursue ordination with the RCWP. Teresa was ordained a deacon on September 6, 2014 with six other incredibly gifted and compassionate women. “I hope to help form and reform the Church by responding to the desires of people, especially Catholics, who long for a Church welcoming to all people.” Teresa was ordained a priest on August 1, 2015. She lives in Bellevue, Idaho with her wife. Alice Marie Iaquinta, M.Div., ABD for Ph.D., M.A., B.A., A.A. "My ordination is an act of surrender to the Spirit and obedience to God, not an act of defiance of the church. I love the Roman Catholic Church and want to see the reforms of the Vatican II Council fulfilled. This is the 'new springtime' that Pope John XXIII and the Council recognized and we are the 'signs of the times.'" She has taught college for 40 years. Alice became aware of her call to the priesthood after graduatinrg with honors from St. Francis Seminary, Milwaukee, WI. Ministry includes teaching ethics, offering spiritual direction, marriage preparation and weddings, adult faith formation in workshops and study groups. Alice and a married priest are pastors of the inclusive Vatican II Eucharistic Catholic community, Mary of Magdala, Apostle to the Apostles Catholic Church in Milwaukee, WI. Patricia Shannon Jones has a Masters Degree in Adulthood and Aging Studies from Notre Dame of Maryland University. She is a registered nurse and retired nursing home administrator in the State of Maryland. She has completed the Parish Nursing Certificate Program at the Ecumenical Institute (EI) of Saint Mary’s Seminary and University and continues to pursue courses in Pastoral Care at the EI. She has more than 20 years experience in the development and management of research projects. During her research career, she worked at the Johns Hopkins University School of Medicine, The University of Maryland School of Medicine, an International Clinical Research Organization, ran her own clinical trials management company, and worked as a consultant with the University of Maryland Institute of Human Virology where she was responsible for operational support of an institutional strengthening grant in Haiti. In addition to these credentials, Pat has spent the last two years working with immigrant families as the Director of an Immigration Center in Baltimore city. She has lead the Center in the development of new programs and has spent the past year organizing the local immigrant community to build power in the community in order to take action on important issues that affect immigrants in the Baltimore area and the region. Mary Keldermans was ordained a Roman Catholic priest on May 3, 2014 in Springfield, IL. Mary and her husband, Steve, have been married 41 years, are parents to six amazing young adults, parents-in-law to five wonderful people, and permissive and indulgent grandparents to six-and-a-half above average grandchildren. Mary Kay Kusner, MA, CC has been a chaplain for over 20 years. During this time, she witnessed the openness of people to her as a woman minister. When she graduated from Boston College with her Master’s in Pastoral Ministry in 1987, many of her peers were leaving the Catholic church to become ordained. At that time, Mary Kay said, “I want my presence to speak louder than my absence.” She has remained a faithful Catholic and currently, she serves as the chaplain for the Palliative Care Program at University of Iowa Hospitals & Clinics. She is skilled in providing support to those in crisis and at the end of life. It has been her great joy to officiate at weddings, baptisms. and in a small faith community called Full Circle. Mary Kay has four children and has been married for 26 years. Her first book, Upside-down and Backwards: A Mother’s Story will be published this fall and be available on Amazon.com. Patricia LaRosa prefers to be called “Patti,” as it reminds her of her family of origin, a tight knit Italian American family with lots of aunts, uncles and cousins. She spent 22 years in a married relationship, raising two daughters. Patti recognized her call to ordained ministry in 1989 and pursued it by working toward a Master of Arts in Theology while working as a Pastoral Associate in a Rochester, NY parish. She also worked in hospice and loved the hours spent with families and caring for their dying loved ones. She spent 4 years exploring the possibility of ordination through the Episcopal Church, but discovered her Catholic roots and commitment while attending Union Theological Seminary in Manhattan. She graduated with a Master of Divinity in 2007, and became affiliated with Roman Catholic Womenpriests during her two years in Manhattan. Patti currently lives in Rochester, NY and is active in her home parish of Spiritus Christi Church. She also works with a newly forming inclusive community called Spiritus Christi Buffalo. Judith A. B. Lee, DMin, MS, DSW is the Pastoral Director of Good Shepherd Ministries serving the culturally diverse poor of Southwest Florida. Called to serve early, she continues to follow Jesus whose inclusive love, call of women, and revolutionary poor people’s movement turns the world, including the religious establishment, upside down. She combines her social work background with healing and liberating ministry with the poor and all who are outcast. Since 2008 she pastors The Good Shepherd Inclusive Catholic Community of Fort Myers, Florida. She is Professor Emerita at the University of Connecticut and is a prolific writer whose work includes Come By Here: Church with the Poor, (2010, PublishAmerica.com, now AmericaStar Books.com); Ven Aqui: La Iglesia De Los Pobres (2014, AmericaStarBooks.com); The Empowerment Approach To Social Work Practice: Building the Beloved Community (Columbia University Press, 2001); The Flame Keeper And Other Poems (PublishAmerica, 2007); and The House on Sunny Street- My Two Brooklyns: with an Epilogue of Blessings (2013, PublishAmerica.com now America StarBooks.com). Her blog is judyabl.wordpress.com and she can be reached at bjudy8615@gmail.com. Lillian Lohr Lewis, M.A., Ph.D. Ordained priest 2014, Three Oaks, MI, Lil came to RCWP after 30 + years in ministry, and an M.A. in theology from Marquette University as its first lay graduate. Lil went on to become translator and assistant to Sofia Cavalletti, Italian rabbinic scholar and founder of Montessori Catechesis of the Good Shepherd. She then spent 20 years teaching and spreading this form of catechesis. A transformation to her life and philosophy of ministry occurred when she sold her suburban home and moved with her four daughters into the inner City of Chicago where she served as a Pastoral Associate and hermanita a los barrachos "street sister" walking with the poor and undocumented for 10 year.Issues of hunger and poverty still impact her ministry. Today, Lil and her priest-husband work together building community and ritual for their town and through their House Church of Three Oaks, and through the large Community Garden they have created to supply produce for the hungry. Ruth Lindstedt, M.Div., BSN, Master¹s of Public Health. After retiring in 2009 from a 40-plus year career as a professional nurse and administrator in home care and hospice settings, Ruth joined a group of women in Saint Cloud (MN) area to form Mary Magdalene, First Apostle, served by women priests of RCWP-Midwest. Through this process she found renewed interest in shaping her own call to pastoral ministry and pursued theological studies at Saint John¹s University School of Theology graduating with an M. Div. in 2015. Ordained to the diaconate in August, 2015, Ruth serves primarily at Mary Magdalene where she is also a member of the Core Leadership Group and liturgy planning groups. She continues her practice as a certified spiritual director (2004) and convenes a weekly centering prayer group. In addition, Ruth indulges her interest in nature through hiking and photography and continues writing and reading. Jeannette Love was ordained a deacon on Aug 28, 2010 and a Roman Catholic Womanpriest on September 12, 2010. During her years of study as a religious sister for nineteen years she has been trained in theology and in addition studied a year of theology at Immaculate Conception Seminary, Darlington School of Theology in New Jersey. She was previously ordained in the Catholic Apostolic Church of Antioch (not under Rome) and served the Archbishops and the development of the Church for eleven years. Jeannette attended the University of Creation Spirituality founded by Matthew Fox in Oakland, CA through which she received a Masters degree awarded by Naropa University in Boulder, CO. At present Jeannette assists Suzanne Dunn in serving at the Catholic Church of the Beatitudes and works part time for the church as a Marketing and Membership Consultant. She also offers spiritual direction, facilitates a weekly Centering Prayer Group, volunteers at VNA and Hospice and is commissioned to give the Centering Prayer introductory workshop. Jeannette resides in Santa Barbara. Rosa G. Manriquez, IHM is a mother and grandmother, a member of the Immaculate Heart Community, a Roman Catholic deacon and a candidate for priestly ordination through Roman Catholic Womenpriests. She is a member of MountainTop, a multifaith movement for justice sponsored by Auburn Theological Seminary. Rosa is a member of the Vision Board of Call to Action and also a speaker for A La Familia, a project of the Human Rights Campaign that promotes the inclusion of the LGBT community within the Latino community. Maureen Mancuso received her M.Div. from the Jesuit School of Theology at the Graduate Theological Union in Berkeley, CA. In addition she holds a teaching credential in English and is working on her Ph.D. in World Religions. Maureen felt called to priesthood at an early age though she tended to dismiss the idea, for as a cradle Catholic it seemed an improbable path. Active in parish ministry as parish council president, a member of peace and justice, a musician and a member of the St. Vincent DePaul society the call to priestly ordination was re-illuminated. Maureen has been the Director of RCIA, a hospital chaplain, a retreat director, liturgist, and has lead workshops at the diocesan and national levels. As a Christian feminist Maureen actively supports equality for women in the Roman Catholic Church and is a member of CTA, WOC, and the Women of Magdala. Presently, Maureen teaches high school English full-time, and she divides her time as a deacon for both the Mary Magdala community in Los Gatos and the Namaste community in Orinda, CA. In addition she continues with her PhD studies. The focus of her research for her dissertation is an interfaith exploration of religious empowerment of women in the Abrahamic tradition. Nancy Meyer is a spiritual director and holds a Masters in Spirituality from Creighton University in Omaha, Nebraska, and a BS in Biology from Marian (College) University. She has a certificate from Washington Theological Union in Theological Studies and a certificate in Pastoral Family Life from the University of Mt. St. Joseph. She was ordained a deacon in August, 2009, a priest in May, 2010, and bishop in June, 2014. Nancy was a pastoral associate in a Roman Catholic parish community for 25 years working with RCIA, marriage preparation, women’s spirituality, outreach and with refugees especially those from Sudan. As a Sister of St. Francis she taught in the secondary schools and was vocation director, postulant director and associate vocation director for the Archdiocese of Cincinnati. Nancy facilitates a catacomb church community and a house church community in Brownsburg, IN. She is bishop for the Midwest region. Susan Mary Mielke lives and works in West central Illinois. She is a member of the Great Waters Region-RCWP. She was ordained a deacon in St. Louis Mo. June 13th, 2015 by Bishop Joan Clark Houk. Susan has a Bachelor's degree in Theology, a Master of Divinity degree and a Doctor of Ministry degree and is a licensed clinical counselor. She has been engaged in the ministry of pastoral psychotherapy for the past fifteen years. As a Roman Catholic minister Susan has an extensive background in feminist theory, theology and psychotherapy. Her special interest focuses on pastoral conversation as communion. Susan is a wife, mother and grandmother. She and her husband Harry are members of Holy Family Inclusive Catholic Community in Jacksonville, Illinois. Their pastor is Mary Keldermans RCWP. Mary Alice Nolan was inspired by Pink Smoke Over the Vatican and Patricia Fresen and decided to act on her call to the priesthood. She will soon graduate with her Masters in Theology from the Jesuit School of Theology at the Graduate Theological Union in Berkeley. She is mentored by RCWP Maria Eitz and serves as a deacon at Sophia In Trinity in San Francisco, CA. Mary Alice has been married to Tom for 33 years and her daughter Katie is the light of her life. Mary Alice works fulltime as the nurse manager of an outpatient oncology department and her specialty is end of life care. Ann Penick is originally from the Chicago area. She and her husband, Jim, live in Maryland near Washington, DC. They have been married for 25+ years. Ann has long been an active member of the Roman Catholic Church. She has done ministry volunteer work as a music minister, minister in sacred dance, retreat facilitator, a member of the liturgy team at various parishes where she’s been a member, and a member of welcoming and hospitality committees. In 1993 Ann received a certification in lay ministry from the Diocese of Birmingham, in Alabama. In 1995 Ann received a Masters in Counseling degree from the University of Birmingham in Alabama. In 1997 she completed 3 units in CPE at Bon Secours/St. Francis Hospital in Charleston, SC. In 2008, Ann received her Masters in Pastoral Ministry degree from Boston College. Ann served as chaplain to college students from1997-2008—with the Diocese of Charleston, South Carolina and with the Archdiocese of Boston. She came face-to-face with her calling to the priesthood in 2005 at the WOW conference in Canada. She has been supported in her journey to the priesthood by Jim, her step-daughter, Katie, her step-son, Mike, and her brother, Rob. Currently, Ann works as a mental health counselor at a Maryland community college. In her spare time Ann enjoys music, dance, travel, her granddaughter Meg, and their cat, Numbers. Bertha Popeney felt God calling her to priesthood in early childhood. It is a call that was expressed in a lifetime of service to others. She is a native of San Diego, California, and was born the eldest of six siblings. She has an M.A. in Education, and completed her theological studies in local universities. Both her family and her education instilled in her the importance of love, service and honor, and of protecting and teaching those with whom she came in contact. She taught in the San Diego Unified School District for 25 years. Bertha also engaged in ministry within the Diocese of San Diego and is a recipient of the Humanitarian Award from the USCCB. She is currently Secretary of San Diego Call-To-Action. Bertha lives in San Diego with her beloved husband Tom. Kathy Redig, M. A. in pastoral ministries, served as a certified chaplain in hospice, acute and long-term care for 20 years, retiring in 2015. Through this ministry, she became aware that many besides herself felt disenfranchised from the Catholic church as well as other churches. Her call to priesthood came as a gentle invitation over the years wherein she chose first to enter the convent, taking another direction after 2.5 years, which included marriage. With her husband, she raised two children and has been blessed with one grandchild. Through all these experiences, the call toward priesthood continued and when the option became possible through Roman Catholic Womenpriests, she pursued it realizing she needed to become part of the change she hoped to see in the Catholic church. She found the program of discernment toward ordination, first as a deacon, after which she began forming a community around her and then ordination to priesthood most valuable and affirming of the call she felt long ago. After ordination, Kathy and her husband, Robert established All Are One Roman Catholic church in 2008. Their inclusive parish reaches out into the community through the local food shelf, the Catholic Worker homes and sharing most of their revenue with local, national and international organizations in need. AAORCC is a Vatican II parish where all are welcome at the table. Chava Redonnet, has been a member of the Corpus/Spiritus Christi community in Rochester NY since 1980, and serves as chaplain at St. Joseph’s House of Hospitality, the Rochester Catholic Worker, as well as working as a youth minister at First Unitarian Church in Rochester, and as a chaplain resident at Strong Memorial Hospital. A graduate of Colgate Rochester Crozer Divinity School, she is the author of Standing in the Light, an account of the 1998 upheaval at Corpus Christi and the formation of Spiritus, and of Don’t Forget to Breath Glory and Bound in a River of Light. Chava has three grown daughters, Clare, Bridget and Emily, two of whom are now living in Rochester, much to her delight. Kathy Rolenc Aloha, I'm Kathy Rolenc. I have been married 20 yrs to a wonderful man! Been a youth/young adult Minister for over 22yrs. I am a CNA/EMT, currently working in home health, mainly with Alzheimer's patients. I have volunteered in parish life as a Eucharist Minister, Home Bound Eucharist Minister, Catechist, Arts and Environment, Planning Communion Services, Parish Liturgies, Teen Retreats, Young Adult Retreats, Trips for World Youth Day and NCYC and Fundraising. I have Certificates in Lay Ministry Program Archdiocese of Chicago University of St. Mary of the Lake Mundelein Seminary, Youth Ministry Program Loyola University, Theology and Ministry St. Xavier University and completing my BA in Theology. I am currently involved in a community, Voices Rising, in Oak Park, Illinois. Victoria Rue, M.Div., Ph.D., is a professor at San Jose State University in Comparative Religious Studies. Her Master of Divinity is from Union Theological Seminary in NYC. Her Ph.D. is from the Graduate Theological Union, Berkeley,CA. Dr. Rue is Spiritual Care Counselor with Central Coast VNA/Hospice. She is also a theatre writer/director whose work has been seen in Los Angeles, New York and San Francisco. Dr. Rue has published numerous articles, her most recent in New Feminist Christianity: Many Voices Many Views, edited by Mary Hunt & Diann Neu, 2010. Victoria's book, Acting Religious: Theatre as Pedagogy in Religious Studies, was published by Pilgrim Press. See her website: http://www.victoriarue.com. In January of l988 Victoria was called forth by Dignity NYC to con-celebrate a Mass with an out gay priest on 5th Avenue, across from St. Patrick's Cathedral. That street ordination by LGBT people led her in l995 in Oakland, California, to co-found A Critical Mass: Women Celebrating the Eucharist. That same NYC ordination by LGBT people led her in 2005 to be one of four women ordained as priests on a boat on the St. Lawrence Seaway. In San Francisco, Victoria was called forth by Trinity Episcopal Church to organize a Roman Catholic community. In January 2009, Dr. Rue began presiding at bi-monthly Saturday Eucharists with Sophia in Trinity: a New Catholic Community. For more information: www.sophiaintrinity.org Also in San Francisco, Dr. Rue presides monthly at a Eucharist for LGBT members of the Metropolitan Community Church. In the East Bay, Victoria presides monthly at a house church The Namaste Community. For more information: Gwen animo3@pacbell.net Victoria and her partner Kathryn Poethig, M.Div., Ph.D. met at Union Theological Seminary, NYC. Kathryn is a candidate for ordination in the Presbyterian Church, and is Associate Professor Global Studies at California State University at Monterey Bay. They celebrated their twentieth anniversary of commitment in September 2008 by getting married. They live in Watsonville, California. Marina Teresa Sierra Sánchez is married and has two sons and a granddaughter. She was born in Colombia in 1967. She has pursued the cause of human rights, justice for women and for Colombians of African descent her whole life. Her degrees are in early childhood and community education and in theology. In the 1990's she participated in global women's conferences in Brazil, Vienna and Beijing, China. She has worked with local priests in several base communities and was a missionary to Ecuador for three years where she studied Theology and served women and children and other marginalized persons. Since 2005 she has animated, represented and served a very large community of Afro-Colombians, Consejo Comunitario Ancestral de Negritudes, near Playa Reciente, near the Cauco River in Cali. As Marina Teresa gathers with this community around the Eucharistic table, they will reflect the liberating presence of God at work for justice on the altars of their lives. Pat Sandall's ministry as a Roman Catholic Womanpriest has evolved into what she calls an "itinerant priesthood." Over time Pat has made herself available to groups in the western region who truly want to celebrate Eucharist with a womanpriest but do not have a womanpriest in their area. Upon request, she will travel to celebrate liturgy with these communities. Pat is a member of the national media committee and she hosts the national and international group communications networks. Pat holds a master's degree in Religious Studies from Mount St. Mary's College in Los Angeles. She also holds a doctorate in Theology from Barry University in Miami Shores. She served the Roman Catholic Church in the Archdiocese of Los Angeles for more than twenty years as a catechist, religious education director and pastoral associate. Her areas of interest and activism include social justice issues and feminist studies. She and her husband, Joe, have four adult children and two grandchildren. They divide their time between Carlsbad and Santa Barbara California. She can be ontacted at patsysandall@yahoo.com. Susan M. Schessler holds a Master’s Degree in Religious Studies from Providence College in Rhode Island. She is a New Jersey Certified teacher in the areas of Elementary Education and English. Susan taught elementary grades in New Jersey and Alabama before becoming the first Director of Religious Education in the Archdiocese of Newark NJ. As DRE she ministered in two parishes and was on the Staff of the Religious Education Center in the Archdiocese of Newark when Youth Ministry was introduced after Vatican Council II. She also served as liaison to the Directors of Religious Education in the Archdiocese. While residing and participating in the work of Genesis Farm in Blairstown NJ, Susan served on the staff of the Northeast Center for Youth Ministry housed in Paterson, NJ. Realizing the call to serve the poor in the inner-city of Newark NJ, Susan served as principal of an alternative junior high school founded and sponsored by the Dominican Sisters of Caldwell, NJ. On leaving parish ministry Susan took a position with the public school system in East Orange NJ serving as mentor to over 25 alternate route teachers. At the closing of that position Susan retired and now serves the people of Newark, NJ Board Chair for Development/Board Secretary with Future Potential YouthOutCry Foundation Inc./The H.U.B.B. (Help Us Become Better) an organization that strives to help youth and adults achieve their God-given potential. Susan’s call to priesthood is about oneness with God, celebration and service. You may contact Susan at samoyd2@comcast.net. Kathleen Gibbons Schuck’s energy is grounded in wholehearted living and inter-spirituality. Since 2012, Kathy has been at home in the community of Saint Mary Magdalene www.smmcommunity.org in Southeastern Pennsylvania. Being seen and heard in the presence of a loving community awakened Kathy’s call to “use her inside voice” and create community on purpose. Kathy has worked in corporate telecommunications, faith-based organizations, and entrepreneurial ventures. A business trip to West Africa in 2001 transformed her worldview. She has been active in parishes in New Jersey, Illinois, Washington, DC, and Pennsylvania, chairing Liturgy Committees and serving as a Greeter, Lector and Eucharistic Minister. In her current role as an Officiant, Certified Coach and Story Teller, Kathy sees the world through the lenses of Sociology, Soul Coaching and Theology. She studied Sociology at Rosemont College, completed Newfield Network’s Ontological Coach Training Program, and continues to study Theology at Global Ministries University. Kathy creates safe space and utilizes powerful metaphors to deliver her message. Ordained a deacon in 2014, she lives in Blue Bell, Pennsylvania, with her partner, Stan, and her daughter, Ann. Contact Kathy at kschuck55@gmail.com. Irene Senn "My journey to ordination began many years ago but, of course, 'women cannot be priests,' so I allowed myself to veer away from the path, most likely because at that point there was no path. However it seems that my whole life has prepared me for ordination, even when there was not an apparent path. Following the prompting of the Spirit I earned an MDiv degree from St. Francis Seminary in Milwaukee in 1992. That same Spirit, which always leads one into the unknown, guided me during the 20-plus years that I served in justice and peace ministry with a congregation of women religious. And, by its raising a recurring question over a period of several years, I finally was able to discern the voice of the Spirit who has been so very patient with me, allowing me to come to this awareness at the right time. The journey continues, still into the unknown, but I continue to trust the leadership of the Spirit." Irene and Bob are parents of four adult children and grandparents of eight wonderfully energetic young people. Donna Marie Shaw Born a cradle Catholic into a Polish Catholic family in Chicago, Illinois, Donna felt a call to the priesthood from the time she was a child. She has been active in supporting women's rights, feminism, renewal in the Church, civil rights and LGBT rights. She raised two sons and a daughter, and is now the proud grandmother of a little girl. While serving as a registered nurse for over 25 years, she incorporated holistic methods of health care into her service. Active in promoting caring and respect for the environment, and for the personhood and dignity of all creation, she is also learning ASL and the Celtic harp, reads scifi, and goes to Renaissance Faires. She presides at Catholic Church of the Beloved in Simi Valley, CA. Donna can be contacted at dshaw77708@sbcglobal.net. Mary Frances Smith I am a registered nurse who has worked in psychiatry for thirty-five years, in staff and in leadership positions. My husband of thirty-two years is my strongest advocate in all my endeavors. I have three adult sons, an adult stepdaughter, and one grandchild. I earned my Master of Arts Degree in Theology from The College of St. Catherine, St. Paul, Minnesota. It has been as a Roman Catholic laywoman that I have always experienced the Church, the powerful social institution that framed my spiritual life from my birth. My belief in the progress of women in the Roman Catholic Church is very deep and strong. It is my joy to stand with women and men who bring life and growth to the Church. marysmith98@msn.com. Mary Steinmetz earned a Master of Arts degree in Holistic Spirituality from Chestnut Hill College and a Master of Theological Studies degree in Historical/Systematic theology from Boston College. She is particularly interested in the place where theology and spirituality intersect; the place where faith is lived out and the Spirit is found provoking, challenging, energizing and bringing new life. Mary has served as a chaplain, teacher, conference planner, admissions director and administrative professional in higher education. She is a level II Reiki practitioner. Mary currently lives in Chalfont, Pennsylvania and is a single parent and the proud mother of one amazing adult daughter. She was called forth into ministry by the Spirit of Life: A Catholic Community of Justice and Joy in Weston, MA and now worships with the St. Mary Magdalene Community in Drexel Hill, PA. Mary can be reached at msteinmetzma@gmail.com. Rod Stephens was ordained a Roman Catholic priest on May 25, 1974 for the Archdiocese of Los Angeles and later was a priest of the Diocese of Orange when it split from LA in 1976. He was welcomed as a member of RCWP in 2008. Rod is Co-Founder and Co-Pastor with Jane Via of Mary Magdalene Catholic Community in San Diego, CA. Along with Jane, Rod is also member of the Immaculate Heart Community of Los Angeles and the Founder and Director of SACRA FORMA, a design studio since 1974 for architecture, graphics, and liturgical consultation. Rod is also one of the founding members of The Catholic Worker in Orange County which feeds and houses 125 homeless people a night and the Development Chair of Housing Works, a non-profit established to create housing options that promote, with respect and dignity, sustainable, environmentally sensitive, affordable communities that provide equal and fair access to housing and human services for people with limited income. Rod lives in Irvine with his partner of twenty five years, Howard Seller, Professor Emeritus at Cal State University, Fullerton. Michael Tompkins Like many of my women peers, I have felt called to the priesthood since early childhood. Unlike them, I was accepted into Roman Catholic seminaries—three of them before I was twenty-six years of age. I failed to thrive in all three, the fault always being mine. I was haunted by “many are called, but few are chosen.” At fifty-six years of age, RCWP gave me the opportunity to explore and discern this calling. I have been wholeheartedly encouraged by my religious community, The Immaculate Heart of Mary. I have studied for three years and worked under the mentorship of woman priest, Suzanne Dunne. I had the luxury and privilege to serve as deacon in Mary Magdalene Apostle Catholic Community, pastored by Jane Via, Rod Stephens, Nancy Corran, and an active community of Christians committed to a church that strives to include everybody. I believe I am taking my place among the church we are all called to be. Please, pray for me. Joanna Truelson is a founding member of the Namaste Catholic Community in Orinda, CA. She is a spiritual director and enjoys participating in international missions and pilgrimages. Joanna says that, "Creation Spirituality weaves the threads of my life...my childhood path of positive joy, and blend together into my creative path toward RCWP. This life journey culminates through the transformation of service and giving back..."
Helen Moorman Umphrey is a farmer's daughter from Ohio. In her early teens she entered the Sisters of the Precious Blood in Dayton, Ohio, and was a member for 26 years. She has served as a teacher, principal, parish music minister, and in administration for the community. She is now married to Frank Umphrey for 32 years, and lives in Battle Ground, WA where she has served in the parish as a Director of Religious Education and Pastoral Associate for 25 years. She is now retired, but continues many Cathoic/Christian group processes from her home. She has a BA from the University of Dayton, and an MA in Pastoral Ministry from St. Mary's University in Winona, WI. Monique Gamache Venne first experienced a call to priesthood in fourth grade, when she wanted to be an altar server even though it wasn't allowed at the time. Not interested in becoming a nun, she pursued studies in the natural sciences, receiving a B.S. in Physics and an M.S. in Meteorology and working as a professional meteorologist. She was also active in her parish as a volunteer in various liturgical ministries and served as co-director of a women's Bible study. After being laid off from her last meteorological job, she decided to pursue her avocation and received an M.Div. from United Theological Seminary of the Twin Cities in 2004. She helped found Compassion of Christ Catholic Community in the Minneapolis/St. Paul area, and is serving as co-pastor with RCWP member Linda Wilcox. Monique sees herself as a person marginalized by the Catholic Church who ministers to others pushed to the margins by the Church. Interested in crafts all her life, she has won ribbons at the Minnesota State Fair for hand embroidery, garment sewing, and beadwork. She has been married since 1981 to her husband David and owns (or is owned by!) their cat Boris. She may be contacted at mgvrcwp@gmail.com. Jane Via was born in St. Louis, Mo. in 1947. She has a B.A. in Spanish Language and Literature from Purdue University, a Ph.D. in Religious Studies from Marquette University, and a J.D. from the University of San Diego. She is a county prosecutor in San Diego, California and a former professor of Religious Studies. Jane was ordained a deacon in 2004 on the Danube River and a priest in June of 2006 on the Bodensee off Swiss shores. Jane and friend, Rod Stephens, founded the first RCWP “parish” in November 2005. Mary Magdalene Apostle Catholic Community meets weekly in San Diego, Ca. with an average attendance of 75. Jane is also the convener of a small church community, whenever possible a participant in Call To Action, and is active in an ecumenical Christian Community. She shares her life with her husband of many years and their 2 college aged sons. You can contact Jane through the “Contact US” link at the MMACC website: www.mmacc.org. Gabriella Velardi Ward, BFA, AAS, B.Arch, M.Theo candidate – Gabriella has wanted to be a Roman Catholic Priest since the age of five. The institutional church’s rejection, based on gender, has led her to work in a number of non-traditional fields for women. She is currently working as an architect. She has over twelve years of parish ministry including adult religious education, spiritual direction, organizing and leading retreats and teaching meditation and contemplative prayer. Her call also led her to explore entry into vowed religious life, studying and spending a number of years with the Cenacle sisters. She has also explored other faith traditions including the Episcopal Church, Buddhism and Native American spirituality. Her love of learning has led her to studying theology for five years in the seminary and the continuing study, formal and informally, of theology, spirituality and psychology. She has been a justice advocate for women’s rights, animal rights, children’s rights and student’s rights. As a Roman Catholic WomenPriest, she currently has a sacramental ministry as well as a Spiritual Direction ministry specializing in survivors of child abuse. She is the mother of two and the grandmother of five. Diane Smith Whalen, who lives in Olympia, WA, has experienced a call to priesthood since she was very young. She pursued a BA in Religious Studies and served as a Jesuit Volunteer. She then received her MSW and did social work for a few years before becoming a mother to two beautiful daughters. In 1984, Diane began companioning individuals and groups in spiritual direction and retreat work. She helped develop and staff a program for the formation and ongoing supervision of spiritual directors as well as initiating a group spiritual direction program. Besides receiving an MA in ministry and a D.Min in spiritual direction, she was active in her local parish, serving as a lector, cantor, teacher/facilitator and retreat leader. Diane’s desire is to minister with those who find themselves alienated from the RC Church. Her life is centered in and nourished by the Eucharist. She hopes to help others claim their baptismal priesthood and nourish each other through community worship and service. Diane loves people. She also enjoys singing, traveling and spending time with her wonderful spouse and great friends. You may contact her at dswhalen@comcast.net. Linda Wilcox I received my M.A. in Theology and Pastoral Ministry at the College of St. Catherine in 2005. I have been active in a variety of ministries through the years in my parish, including the Just Faith program. My husband and I belong to a small faith community. Most recently I have been involved in hospice, ministry to the homeless, and hospital chaplain ministry. I have been a Benedictine Oblate with St. Paul's Monastery in Maplewood, MN. for eight years. I became interested in women's ordination through exposure to the movement at the Call to Action gathering that I attend each year. I have a passion for cooking. As I discerned my call to the priesthood I felt a strong connection between planning and preparing a meal and the Benedictine value of hospitality. I now co-pastor Compassion of Christ Catholic Community in Minneapolis, MN where I gather at the table with community and celebrate the breaking of bread at an inclusive table where "all are welcome". Linda and her husband Russ are parents of four grown children. Barbara Zeman I am first and foremost a child of God. Being a Catholic, for me, means being universal - inclusive. The day I was ordained I realized that the Holy Spirit had been preparing me for this my whole life. Thank God I answered the call and followed my conscience. To realize God’s connecting presence in every person brings a joy that cannot be contained. My approach to and reverence for Eucharist offer a Spirit filled presence that permeates all the sacraments from Baptisms and Weddings to Funerals. Through Wisdom and Word Works Foundation, I create ecumenical and interfaith services, lead meditation groups, retreats and offer home Eucharist for all who want to realize more fully, the joy of God’s presence and our human connection. I currently serve as a contract Chaplain at Northwestern Memorial Hospital. As a spiritual leader for Dignity Chicago I provide the LGBTQ Roman Catholic community a greater awareness of women in ministry. I am a writer and a poet. I am deeply involved in issues of social justice, especially those concerning women. I hold a Masters of Arts in Theology, Loyola University Chicago and am endorsed by Federation of Christian Ministries. Judy Beaumont has led her entire life in service to God's people. She entered the Benedictine Sisters of Chicago at seventeen and remained a Benedictine in loving service for 35 years. She was a teacher, director of religious education, refugee worker resettling Vietnamese refugees and a peace activist. She attained a bachelor's degree from Mundelein College and a MRE degree from Loyola University. In 1981 she left Chicago for Connecticut to participate in the anti-nuclear peace movement near Groton and in 1982 was a member of the Trident Nein Plowshares Action. When released from prison she also helped establish My Sisters' Place, a shelter and four tier program for homeless women and children and mentally ill women and men in Hartford,Connecticut. She and Judy Lee, (also a Roman Catholic womenpriest) and her partner in ministry and life since 1989, left Connecticut for Fort Myers Florida in 1998. Judy then began work in a mission parish and later served as Director of Faith Formation for a large parish. In 2003, she helped establish Good Shepherd Ministries of SW Florida and continued to serve the poor and homeless of greater Fort Myers. She was Co-Pastor of The Church of the Good Shepherd: An Inclusive Catholic Community and was active with the local chapter of Call to Action. Judy passed away January 1, 2018. Janine Denomme passed into new life on May 17, 2010. Janine, 45, cherished partner of Hon. Nancy Katz; beloved daughter of Robert and Mary Joan Denomme of Detroit, MI; granddaughter of Earl Van Wassenhove; dear sister of Joseph (Patricia), David (Linda), and Mark; treasured as a daughter and sister by Dorothy Katz, Judy and John Pasternak; devoted aunt of Stephanie (Nicholas), Joe, Christina, and Lauren Denomme, and Brian Pasternak. Ordained to the transitional diaconate on July 14, 2009 and to the priesthood on April 10, 2010 through Roman Catholic Womenpriests; friend, teacher, spiritual companion, priest, guide to many and inspiration to everyone who knew her. Alta Jacko passed away June 5, 2015. She was born on Good Friday, April 6, 1928 in Chicago, Il., and lived on the Southside of Chicago with her mother and brother. She came from a loving and religious family, even though they had little in the way of material things, in the way of family values they were wealthy. Her mother loved her brother and her very much and made sure they understood that. Alta earned a bachelor degree in Education and a Master Degree in Music Education, from the Chicago Conservatory of Music, a Master Degree in Pastoral Studies from Loyola University of Chicago, and a Master of Jurisprudence in Child and Family Law from Loyola University of Chicago. She completed her student teaching at the University of Chicago. She had eight children, four girls and four boys, sixteen grand children and four great-grand children. Alta was ordained a womandeacon in 2008 through Roman Catholic Womenpriests-USA, then was ordained womanpriest in 2009. Mary Ann McCarthy Schoettly held Masters Degrees in Theology, Administration and Supervision, and Science. She also held certificates in Pastoral Care and Spiritual Direction. Mary Ann was a life-long teacher – in high school classrooms, colleges, religious education programs (CCD, Confirmation, RCIA, Renew 2000), Stephen Ministry and retreat work. Mary Ann pastored Sophia Inclusive Catholic Community, in Sussex County, NJ, volunteered as a Spiritual Caregiver with the Chaplain’s Office at Newton Memorial Hospital, led a Spirituality Group for Bridgeway Rehabilitation Services, and facilitated a small faith-sharing community. Mary Ann lived in Northwest New Jersey. She was married for twenty eight years, and had three adult children and two delightful granddaughters. She was active in RCWP, CTA, VOTF, and the Sparta Ecumenical Council. Mary Styne sometimes called herself “the real-estate lady” or “the candle-lady” but no title was more meaningful to her than that of priest – except mom, of course. Always the voice of social justice, this single mom raised four children, served the church that she so dearly loved and still found time to get a Masters of Divinity. Mary’s sense of justice and equality colored her every step. She courageously spent her life answering God’s call in many humble yet profound ways. By the time she entered into formation for the priesthood she had already answered some very difficult calls from God including the heartbreaking loss of her son, Scott DiSalvo, and a bout with lung cancer. In her own words she prayed on the occasion of her first Mass, “Creator God, bless me with discomfort at easy answers and superficial relationships, so that I will live deep within my heart. Redeemer God, bless me with anger at injustice, oppression and exploitation of people, so that I will work for justice, equality and peace. Abiding Spirit, bless me with the courage to believe that I can actually make a difference.” With outspoken candor, Mary challenged her sister priests to live a life of integrity, honesty and compassion, always remembering to forgive those who ‘knew not what they did’. Mary was ordained to the transitional deaconate on November 1, 2008 and to the priesthood on August 16, 2009. On May 12, 2010 at age 70 she went home to be with her Creator and is “prayin for us”.